I get to work with countless individuals and groups that have helped guide my research, but none of my work would be possible without the help of my research assistants who provide not only field support, but logistical, interpretive, and conceptual support as well. Find out more about them below. Vini is the newest member to the project and has quickly become an integral part of the research and the team. Vini’s role is to work with the farmers to compile plant species abundance lists from the agroforests we survey, as well as conduct interviews with the farmers about how the structure of the agroforest has changed three years after Cyclone Winston. Her witty sense of humor, combined with a diligent and unwavering drive to complete the task at hand, have been critical to an efficient and entertaining field season, and overall project success. Vini graduated from the University of the South Pacific (USP) in 2015 with Bachelor of Science in environmental science. In tandem with this project, she is also currently pursing a Post Graduate diploma in Climate Science from USP. Vini is passionate about working with communities for the sustainable management of forests and forest resources to help communities be resilient to changes in climate. After graduating with her Post Graduate diploma, she plans to pursue a Masters degree researching the Integration of Climate Change and Biodiversity policies into Environmental Impact Assessments. Una has also been a part of this project since 2014. In 2018 she rejoined the project and helped me conduct dietary recalls and food frequency interviews in the same villages from 2017, also adding in a tenth village. However, not only was Una pivotal to carrying out the nutrition surveys, Una also liaised with all the village headmen to organize our village visits, translated our survey documents, and helped find us transportation to and from each village. Una’s organizational skills, keen attention to detail, and intense dedication to her work made the 2018 field an extremely successful field season. Una has a background in Marine Science from the University of the South Pacific. She currently volunteers at the World Wide Fund for Nature (WWF) where she assists in workshops, field research, conservation activities, and awareness programs. Her passion is for the marine environment and her primary activities center around the ocean. Mesu joined the project in 2014 when fieldwork first began. I was grateful to have him join me in 2017 for the start of my own research. With me, Mesu was involved in liaising with village leaders on travel logistics and conducting cultural protocols for our team. Across 9 villages in Fiji, he interviewed 45 farmers on their management decisions post-cyclone and helped survey agroforest biodiversity. Mesu also carried out his own research documenting methods of taro and yam cultivation in Fiji. Mesu's extensive knowledge of plants in Fiji, and interest in food crops, have been crucial to this project's success. Mesu earned his Bachelors of Arts in Environmental Studies from the University of the South Pacific, Fiji. He is now a Masters student at Massey University, New Zealand where he will obtain his Masters of Science studying the Myrtle Rust incursion in New Zealand. Specifically Mesu is focusing on the response of indigenous communities to this biosecurity risk, governmental policy surrounding the pathogen and its control, and the biology and genetics of the pathogen itself (Puccinia psidii). Through his research he hopes to identify additional, more effective local management strategies that enable the iwi and primary investigators to work together for the protection of their native plant species. His work is pivotal to understanding this increasingly pervasive fungal infection that is spreading rapidly across the Pacific, including in Australia, Hawaiʻi, and Aotearoa (New Zealand). Rosi has been working on this project since fieldwork began in 2014 and I was lucky to have her join me in 2017 for the beginning of my own research. 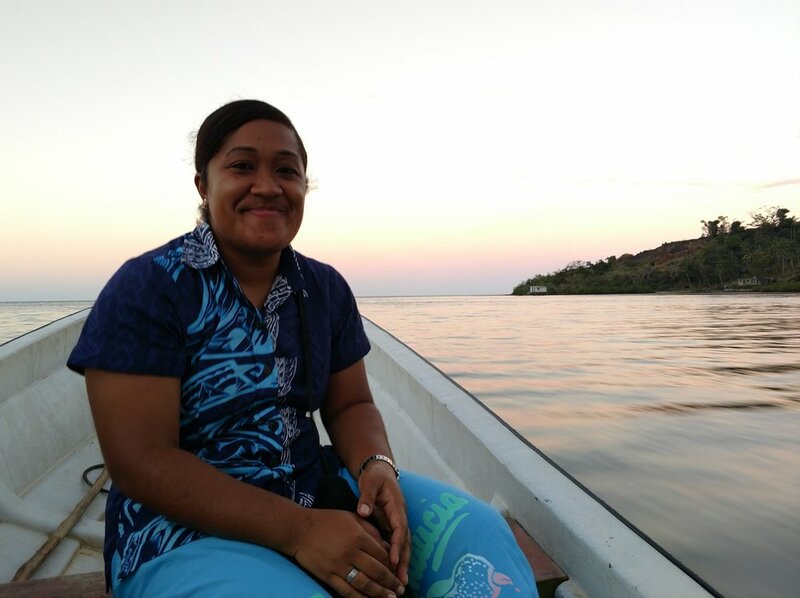 During this time, Rosi conducted over 100 interviews with women in 9 villages across Fiji collecting information about the foods they prepare and what a daily diet looks like for them. She also conducted additional interviews about culturally important plants and how people currently connect to place. Rosi's sense of humor and communication skills not only made the work more enjoyable, it was also pivotal to the success of this research.